Are you looking for an amazing holiday in mountain with your family? This is the right web page! 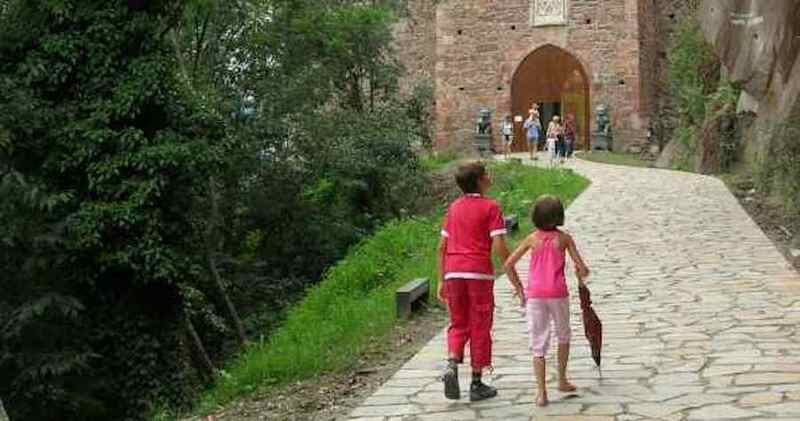 The proposals that you read below was structured in base at many year of experience in the touristic mountain sector and in climbing activities for kids/youngs. The “via ferrata for family with kids” in the dolomites is a good proposal for a family holiday. Specially in the Dolomite you can find many easy and short via ferratas optimal for enthusiastic kids and moms with afraid. I can personalized your via ferrata family tour with others natural, historical or traditional attractions. In substance my proposal of via ferrata for family is articulated in these two lines of activities, but the difference is that you can build, day per day, your personal program with me. 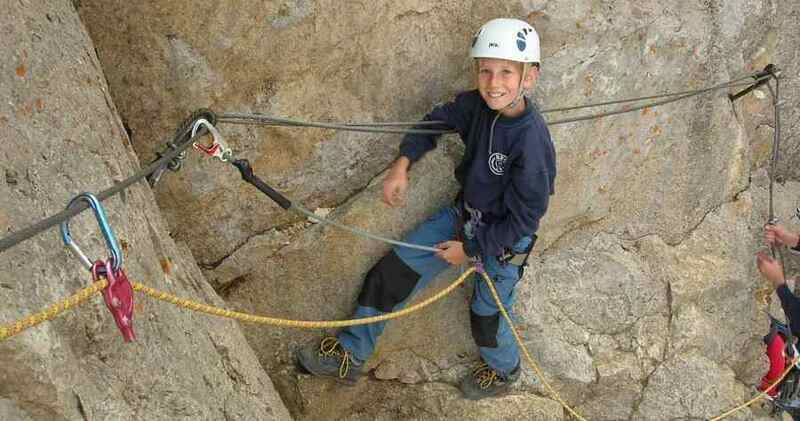 Here you find 5 thematic ideas to elaborate your customized program of via ferrata for family. Read it and then contact me per mail. Remember: here don’t find a standard program but only “your personal program”. Depending where you arrive, generally you will land in the airport of Venice or Milan or Bergamo or Innsbruck or Munich or..... it's indifferent! 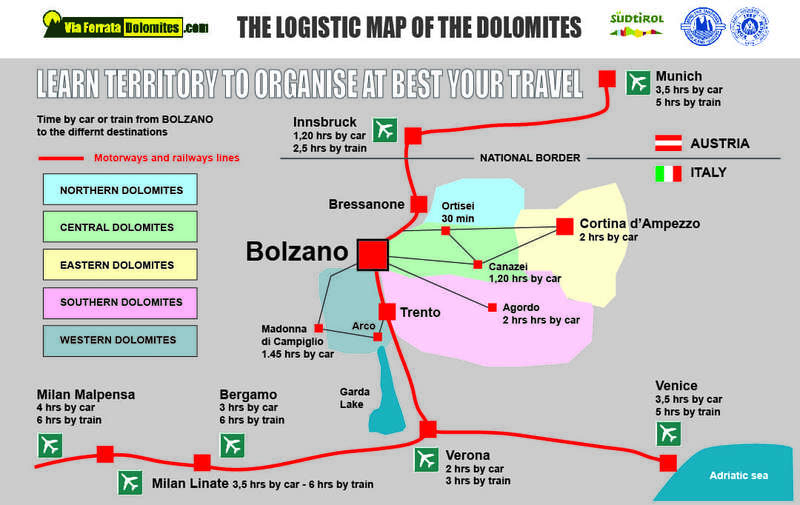 I will suggest you the best logistical system to arrive in Bolzano. train, bus, or taxi. When you will arrive in Bolzano we have a preparative briefing at the reception of your hotel on the evening. In this half hour meeting we will check all aspect of the next days tour. Don’t worry the via ferrata is the best and most safety experience to approach the rock climbing. Every person (in a age between 7 and 70 years) can climb a easy via ferrata. Around Bolzano there are many easy and short via ferratas to begin your soft approach at the vertical world. Generally I begin with the Via Ferrata Col Rodella, a short via ferrata in the south wall of this peak in the central Dolomites. Here we have lot of time to learn the via ferrata climbing technic and last to enjoy our specialities at the rifugio (mountain hut) of the peak. The via ferrata experience continue with a second via ferrata day: Via Ferrata Roda de Vaèl, here we climb a big peak of the Dolomites along the easy north-south crest and visit one other very nice, and historic important, mountain hut: the Rifugio Roda de Vaèl. Both via ferratas have a good ergonomy for kids. Do you like climb other via ferratas? In the Dolomites we have about others 600…. ask me more info. Have you never tried the rock climbing? No? Don’t worry try it! “The family climbing course” is a fantastic and unforgetable experience for all. In this day we have two solutions: indoor or out door. In any case is a great day! If the weather is good we go on the Sella Pass in the central Dolomites where is the famous “City of rocks”, a big rock blocks area formed at the end of the era of the “Wurm glaciation”. Now is a extendend rock blocks labirinth, a perfect rock school. About 60 different of these rock block are setted for climbing school. We spend all day to learn the ABC of the climbing technic and rope manouvres. Don’t loose this proposal…. and ask me more info! This is a inusuale cultural day, a mix of bicycle and visits of castles. Read it, is realistical amazing! The day start in Walter square in the centre of the old town of Bolzano. Here we rent the rental bikes and go on the north bicycle path in direction to the first castle. Runckestein, we arrive here in about 30 min. We park the bicycles here and in 10 min of steep road we are at the door of this particular Castle. Runckelstein is famous for the internal frescos panting and because this castle conserved a original medioeval form located in a impressive rock peak. For the visit we spend about one hour, then we continue with the bicycle path in direction south. In short time we see south of Bolzano the large form of the Sigmundskron (or Firmian castle), this is the biggest castle of South Tyrol. Before was a preistoric castle, then a Roman fort, then a medioeval castle, then a military fort, and now is a “mountaineering museum”. Now in the internal spaces of this large castle is located the “Reinold Messner Mountain Museum”. We arrive in 1 hour by bicycle. Before the visit we have the lunch in the caracteristical restaurant of the castle, then we spend sure 3 hours to visit the museum and this big castle. At end we come back in Bolzano with the same bicycle path to Walther square. In one day we visit two great castles and go about 2 hours in bicycle, no bad as proposal…. Do you like visit others castles? In South Tyrol we have about 200 medioeval castles, many of these are private but about 50 is possible to visit…. ask me more info! A long diagonal line of trenches and bunkers cut all territory of the Dolomites. It was the first line of the front during the WW1. When I was kid I went with many friend on the mountain to collect part of the military remains, munitions and bombs, It was sure more dangerous of the mountain guide work…. We don’t had videoplays and this activity was our summer play on the age of 7-12 years… Have a hiking day on the mountains, theatre of the battles of the WW1 is a very interesting and instructive experience not only for your sons. Don’t worry we don’t collect explosives…. we visit only the impressive constructions of the front of the WW1 along crests and peaks. This proposal is possible have in one single hiking day or in a hut to hut multiday trekking, ask me more info. Have you never tryed to milking a cow? Have you never prepared the cheeses? Try it! The cows stay from mid june to mid september in these public mountain farm, during this period the farmer families can work the fields. 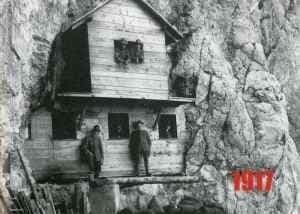 This is a old social organization that is particular in the Dolomites valleys. One day we can visit one of these mountain farm, milking the cows, learn how prepare the cheese, have a short hiking in the farm territory, have the lunch with the local specialities and discover this traditional reality. Ask me more info. The best policy for pricing is clarity and flexibility. Are you agree? Under the sheet you find elenced what is included in every price (accommodations, transfers, etc.). Every price is consider per single PERSON based at the composition of the single GROUP that do the reservation, not at the final number of participant of the group. At the moment of reservation you can ask to have a personal trek (without others participants) or to accept other potential participants. The mountain guide can lead until 6 persons. If the guide combine more persons/groups together it will apply at every unity of reservation 20 Euro discount for every day. (*) WHAT INCLUDED EVERY ALL INCLUSIVE PRICE? - My personal help for your vacation and travel logistics before and after the trek. - Full time mountain guide service during the reserved days. - Transportation during the trek. - The nights of lodging in the rifugios during the trek, with half board. - 2 nights of lodging in Bolzano at a Bed-and-Breakfast, one night before and one after the trek. B&B = bed and breakfast. (lunch, dinner, and beverages are not included). - All technical gear for climbing, as you need. helmet, harness, crampons, kit for via ferrata, protective gloves for via ferrata, ice axe, trekking poles, etc. Note: How reduce the costs? If you are independent with your rental car and don't use the overnights in Bolzano the night before and/or after the tour, the prices are reduced proportionally at your requests. The same considerations that was wrote before for the prices in "all inclusive" are valid for the: "daily mountain guide fee"
(**) WHAT INCLUDED EVERY PRICE? This proposal is in absolute the most flexible and complete via ferrata trekking in the Dolomites! Flexible because you can choose from 2 to 10 days of via ferrata trekking. Complete because you will cross with via ferratas all the central territory of the Dolomites. The via ferrata trekking in the western Dolomites is a unique experience along the famous Via delle Bocchette. A concatenation of many via ferratas on the main crest of the Brenta Dolomite. Via Ferrata Cortina is a multi-day modular program around the amazing and famous Cortina d’Ampezzo area, part of the eastern Dolomites. Via Ferrata Cortina combine a large range of via ferratas: from easy and short perfect for beginners to extreme long and difficult for expert and trained hikers. The southern Dolomites are the more extended area of the Dolomites, with many via ferrata long and complicated. We can traverse these Dolomites with the "great via ferrata concatenation of the Pale di San Martino"
The longest Via Ferrata of the Dolomites is absolutely the “Via Ferrata Costantini” at the Mojazza peak, and the most impressive (only a bit shorter) is some kilometres north: the “Via Ferrata degli Alleghesi” at the Civetta Peak. A via ferrata weekend in winter is really possible, the program that you can read here, that I name “Via Ferrata Arco” and “Via Ferrata Garda Lake” is a realistic opportunity to try this fantastic experience of climbing in autumn, winter and spring. The front line of World War One (WW1) cut the Dolomites in diagonally. Along the ruins of the mountain front we can do adventurous hut to hut trekking and climbing via ferratas. These proposals are impressive for every person, from easy hikers to experienced climbers. If you are beginner on the reality of the via ferrata in the Dolomites, this is your program! I have thinked this proposal for hikers that are scared on the approach of via ferrata in the dolomites. Are you ready? Read it!